The Wave Wall Hung Cloakroom Basin is one of our best selling basins, made especially for cloakrooms and smaller bathrooms. Q. How many are in a package? 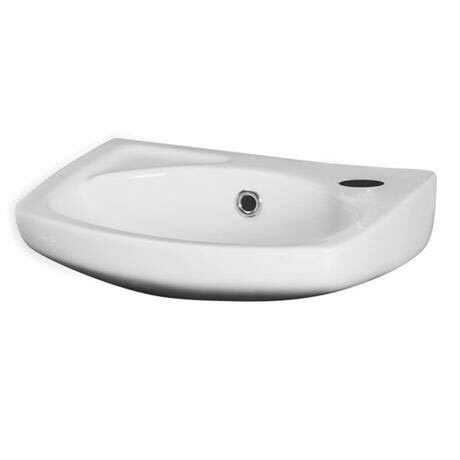 Hi, this wall hung basin only comes as 1 basin with 1 tap hole. Cannot emphasise enough the great service we got from Victorian Plumbing. Goods exactly what we wanted (and more). Delivered next day for less than most companies charge for standard. Will recommend to all my colleagues and friends. This product was finished to a high quality . It looked more expensive than it was ,The delivery was quick and the item was packed so well I could of dropped it and it would have stayed intact . Excellent experience alround .